This morning as I peeked out the windows of my home in the great Northwest, it was a cool, crisp and foggy morning. I look over at my little stove burning so warmly, and I decided to set my own ambiance. 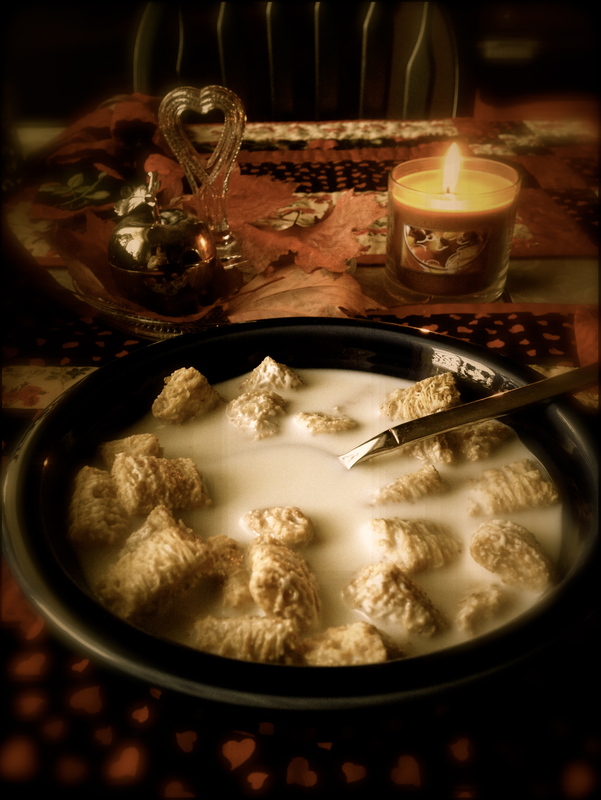 So for breakfast, I lit a yummy smelling candle to enjoy while I ate breakfast. It tickles my fancy to use candle light in my home. 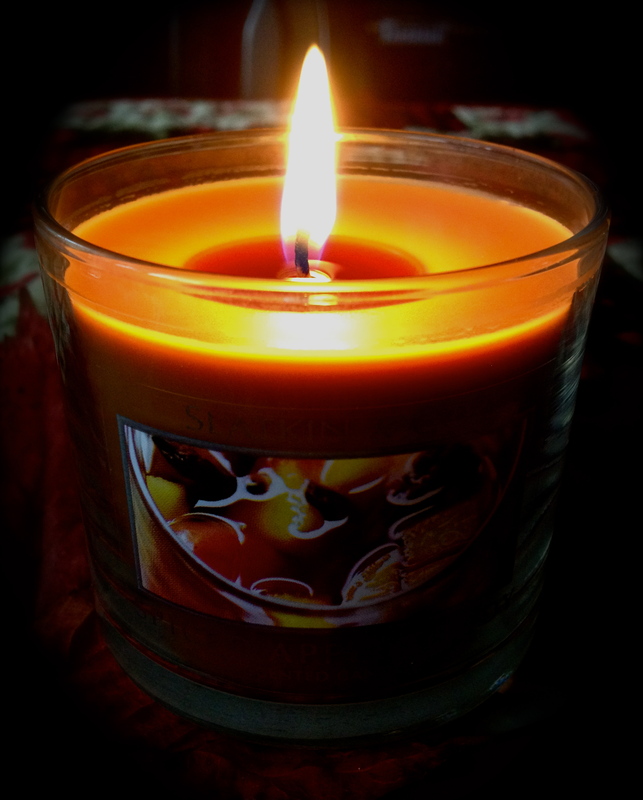 It lifts my spirits, gives a warmth to my home, and delights my senses with its smells. I love it! When I hear others complain of rain, or cold weather, I want to shout, “Change the atmosphere! Bring the warmth and fun into your home! It only takes one small action to change the whole day. My candle did that for me today! Heat up water for hot apple cider, hot cocoa, invite someone for tea, or bake some bread. It changes how you think of winter. Winter is one of my favorite times of year. I love warm clothes, fires, candle light, hats and mittens. It makes us sink into our homes and do things we wouldn’t otherwise do…spend time together. Add some music to the mix, and you have something going on! It is better to light just one little candle than to stumble in the dark. Better far that you light just one little candle, all you need is a tiny spark. If we all said a prayer that the would be free, what a wonderful dawn of a new day we’d see. And if everyone lit just one little candle, what a bright world this would be. Yes. I’m lighting a candle today for you. It takes only a small action to change a lot of things, including our actions, thoughts and attitudes. If it changes us, then it changes those around us. Make it fun and enjoyable; something to celebrate. It changed my day! Next postWhere Do You Go?